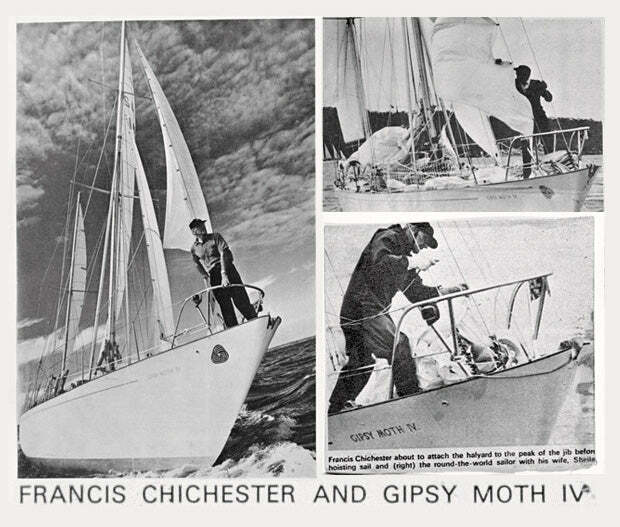 While Henri Lloyd jackets were originally intended to be worn out-at-sea (Sir Francis Chichester chose to wear them on his pioneering voyage around the world in 1966) their stand-out design meant they were appropriated as something simply to be worn out-and-about. Almost twenty years after the original release, dapper Milanese youths associated with the Paninaro scene adopted the jackets. They’d pair them with Levi 501’s, Best Company Sweatshirts and Timberland deck shoes, in a European take on the preppy look seen sported by American college students. A short time later, Nigel opened a small shop in Manchester’s Afflecks Palace. 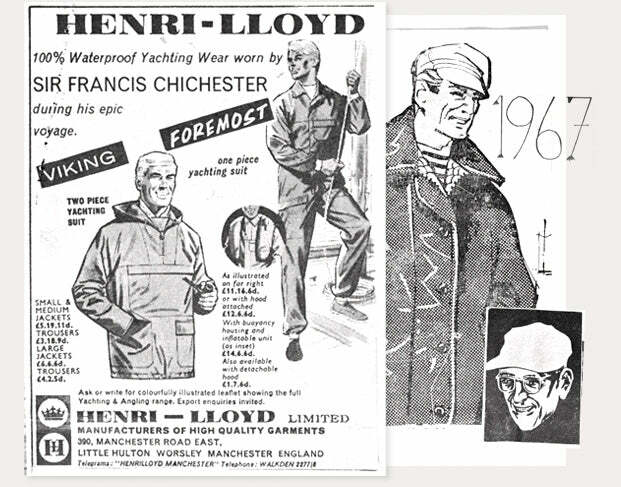 The first brand he sought to stock was Henri Lloyd – and was pleased to find they were based locally. 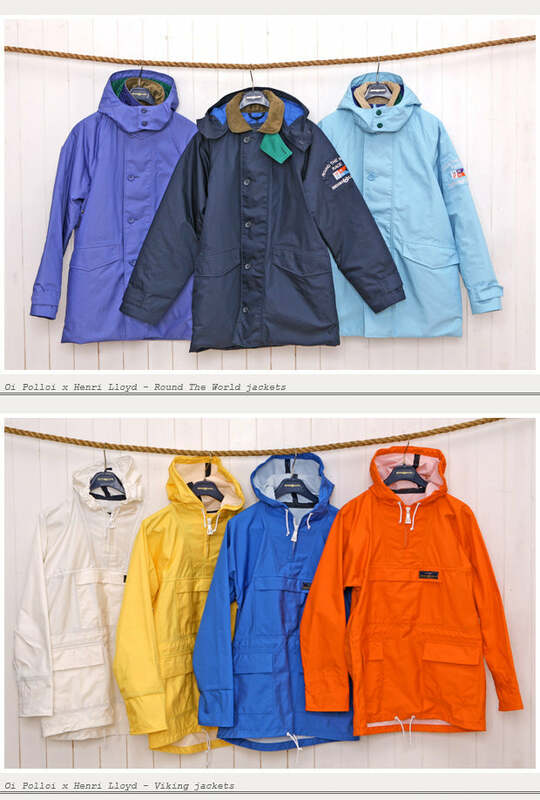 The Viking is a sturdy overhead smock, made from 21st century “Bri-Nylon” and is available in four colours – yellow, orange, white and royal blue. It comes fully waterproof with elasticated cuffs, taped seams and a chunky Ri-Ri zip. The Consort RWR jacket is the work of legendary Italian designer Olmes Carretti – best known for his imaginative use of colours and contrasts. The shape of the jacket takes inspiration from traditional outerwear you’d be more likely to see in the countryside and yet still has strong overtones of it’s nautical heritage. It’s made from the same Bri-Nylon outer fabric evident in the Viking, yet the addition of a cord collar brings about an air of formality. 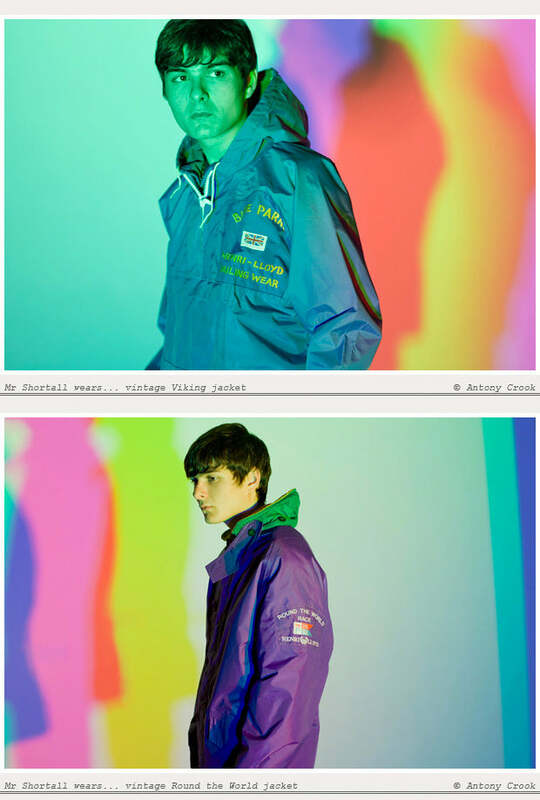 The Round the World jacket is available in navy, sky and lavender. The Bry-Nylon fabric used across both jackets is a nice contrast to the more traditional fabrics like wax cotton which have become popular in outerwear design recently. In terms of fit the re-issued jackets are cut to a slimmer, more tailored silhouette when compared with the original jackets.